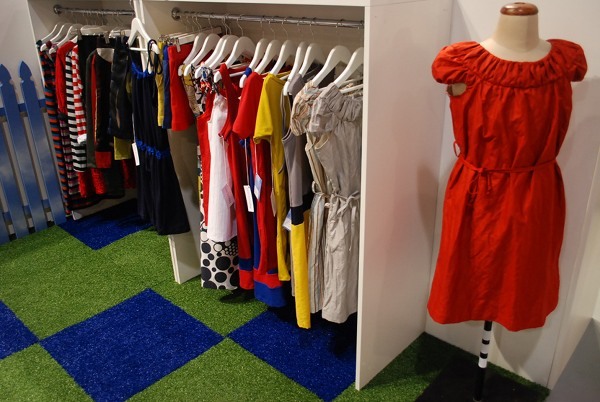 There was no shortage of great kids’ fashion at Kids Instyle Sydney. This is the very last of our Kids Instyle coverage so sit back and enjoy the incredible garments from our local designers! 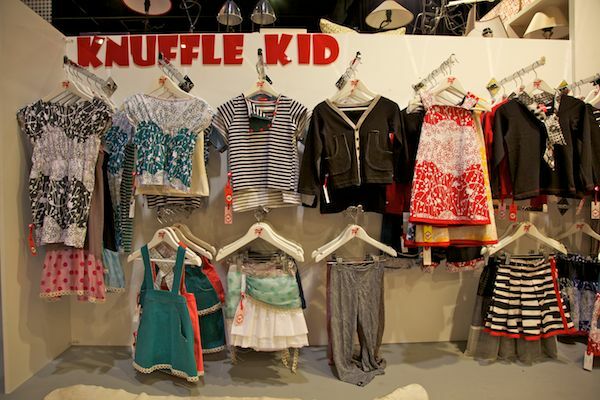 I have to say that I’m a mad keen Knuffle Kid fan. 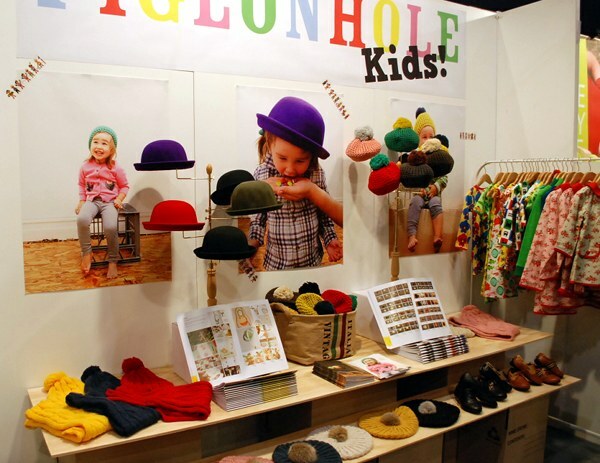 Designer Emma Strybosch infuses vintage with quirky modern style and without fail I go weak at the knees and just a tad silly and giggly over the Knuffle Kid clothes. Just look at those little pinny skirts up there and below are the beautiful ‘Caprons’ which ingeniously double as a cape and an apron. This year Emma has even branched out into women’s fashion and I have invested in one of her glorious pieces for myself! 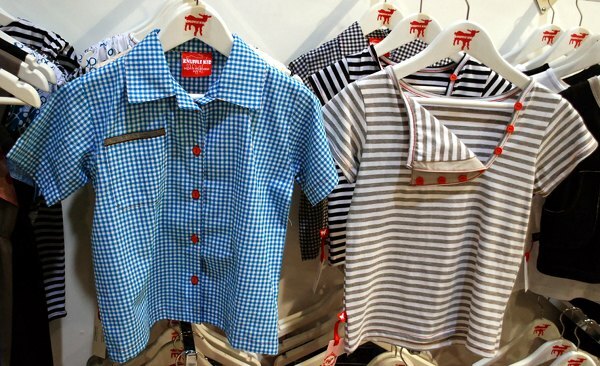 For boys I loved the classic stripes with a jaunty twist to the neckline and a traditional gingham shirt in not-so-traditional colours. The stand was just brimming with lush Knuffle Kid fashion. Well done Emma! 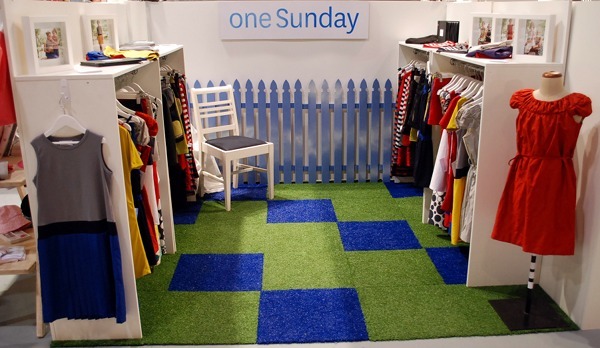 Boutique label One Sunday really captured my attention with its stunning age-appropriate wear for older girls in that often difficult-to-dress tween stage. 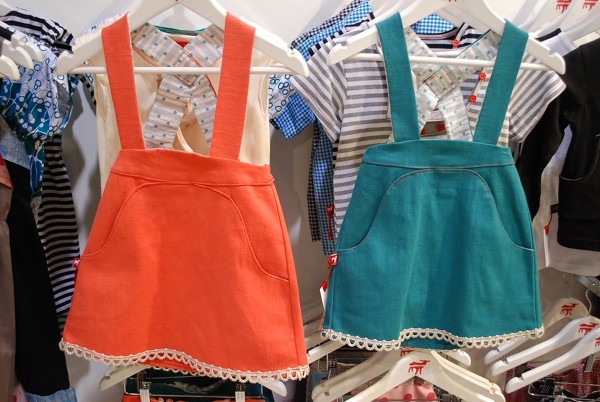 The gorgeous dress on the right is an option for formal wear which is an area often lacking for girls of this age. The colours were striking and the designs absolutely charming, with more than a hint of sophistication. Each garment is done in a run of only forty and I thought the pricepoints were incredibly reasonable considering this. Henrietta is doing an amazing job with this label and we look forward to seeing more from One Sunday. It’s always a pleasure to stop by and chat to the lovely team at Heavenly Creatures. 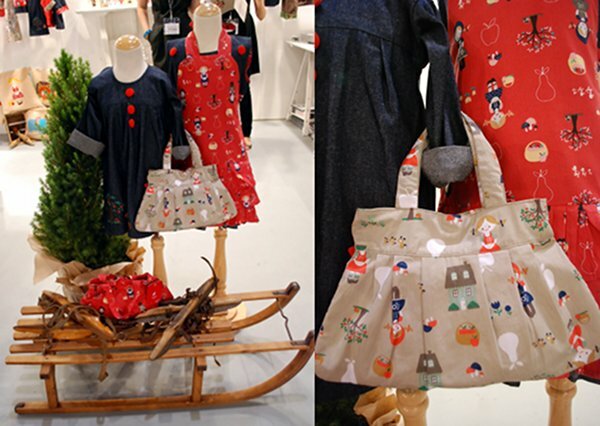 They had a beautiful summer 2012 range on show with exquisitely-detailed pieces including a sweet skirt with bloomers! 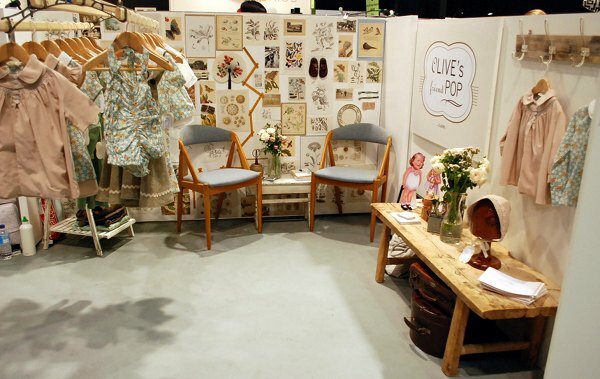 Olive’s Friend Pop had an amazing stand full of the amazing garments we showed you recently. 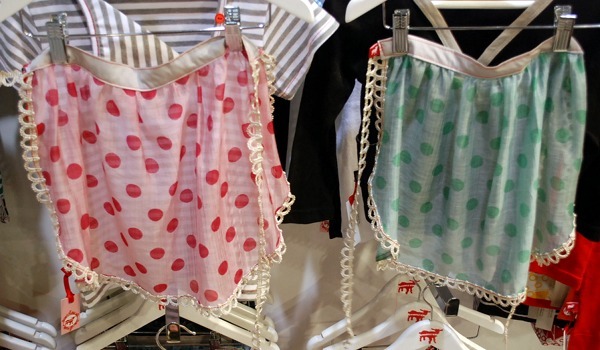 For the cutest widdle bottoms it can only be Oishi-m. 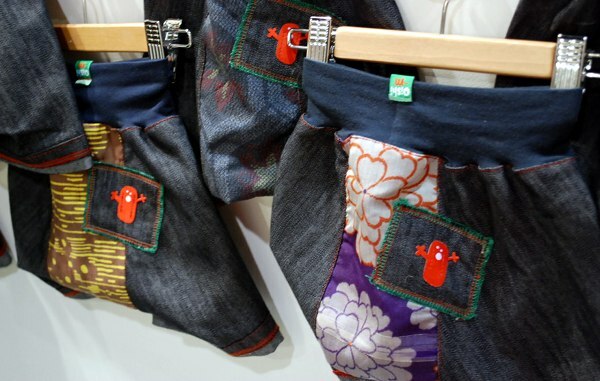 The pants are absolutely gorgeous and available in both skinny and ‘chubba’ styles to suit different body types. Fiona and Miyo are so lovely to talk to and Fiona confessed to a fabric addiction while I was there. She can still hardly believe she gets to buy fabric for a living! 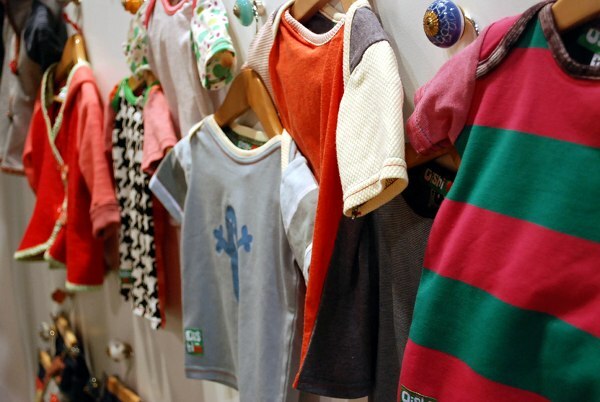 Oishi-m also does fab tops for kidlets and they loaned us their little blackboard for the end-of-post images you’ve been seeing during our coverage of Kids Instyle. 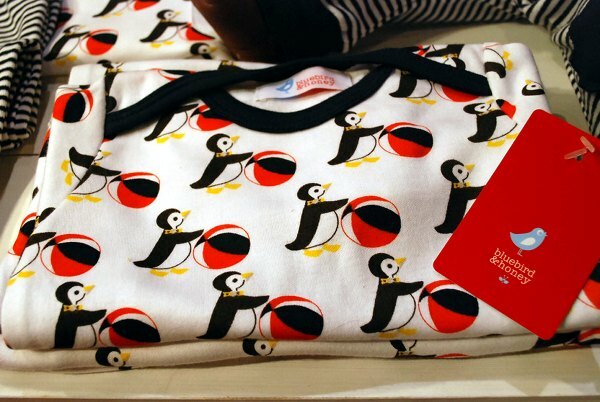 Infancy had a big load of cute going on with its folksy prints and baby-friendly penguins from Bluebird and Honey. 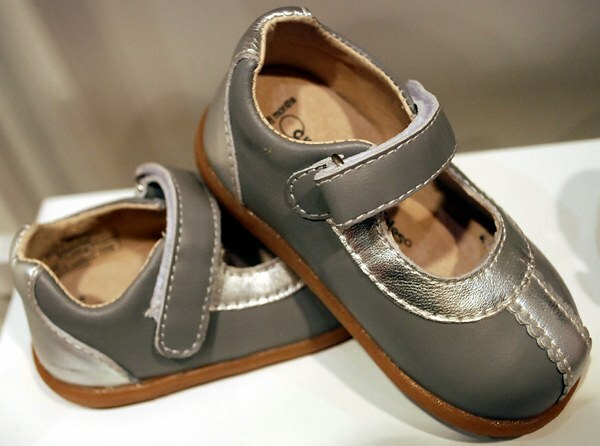 There were plenty of new styles from Cheeky Little Soles – I fell for the grey Mary-Janes and the little navy baby shoes with silver circles. They reminded me of looking into the night sky. The Rodeo Boots were a hoot! And just look at these beautiful little loafers! I think they’re so cute I want to have another baby boy right now! 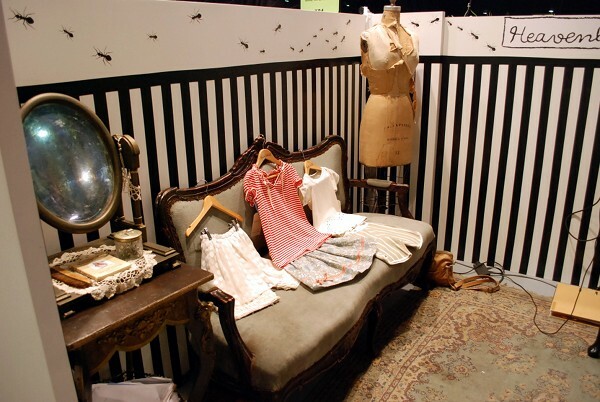 Yes we’re still raving about Pigeonhole simply because the people and products were so exceptional. The team is passionate and knows how to provide the style people are seeking. 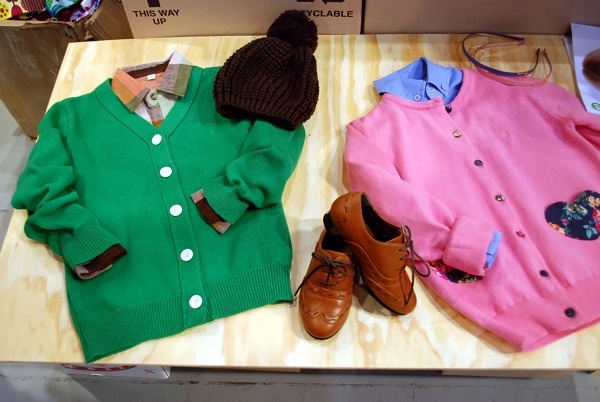 These were the lush knits, crazy-cute shoes and bowler hats. 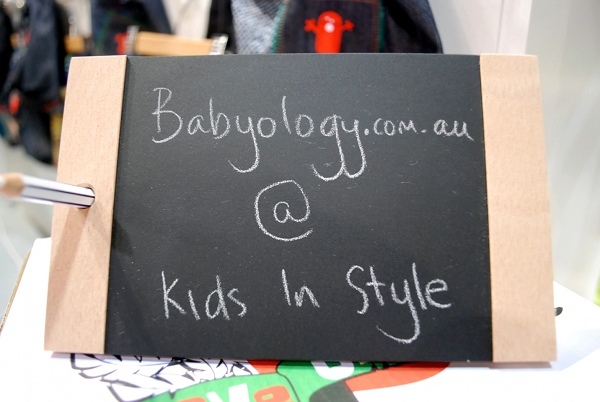 Well folks, it’s time to wrap up our Kids Instyle coverage – we hope you’ve enjoyed it as much as we enjoyed doing it!